A home designed to make the everyday extraordinary. The Cayman Islands Yacht Club is centrally located in the heart of the world famous Seven Mile Beach, with its sugar soft white sand beach - aqua marine crystal clear water and abundance of maritime and leisure activities. We are proud to of offer this luxury residence situated in the upscale residential enclave of Lighthouse Pointe, a secluded peninsula with sweeping water views of Governors Harbour and the Cayman Islands Yacht Club Marina and is now offered for sale for the first time. Encompassing 6,000+ square feet with 5 bedrooms, 4.5 bathrooms. 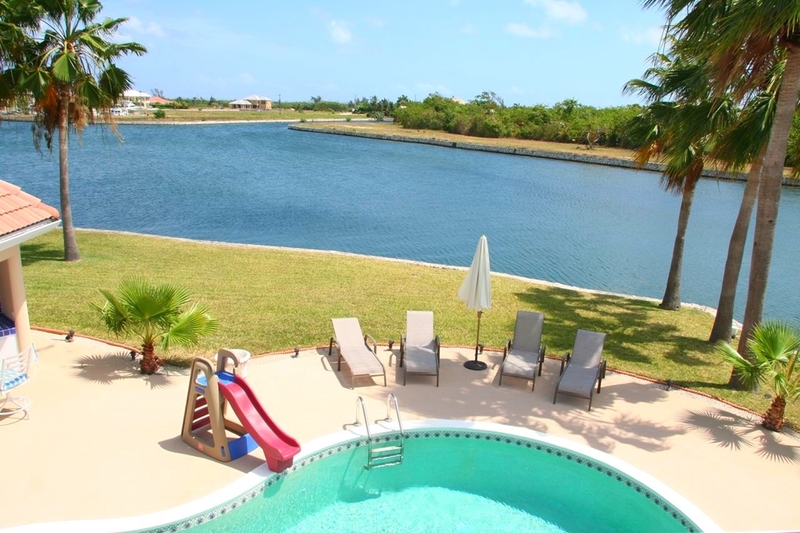 This elegant residence offers a huge waterfront screened patio / lanai area which serves as the main alfresco entertaining area for the home with magnificent pool and canal vistas. Ideal for lounging and dining with friends and family - sheltered from the elements. Featuring a modern open plan European kitchen with top of line German appliances and latest technical offerings such as induction cooking. A bright and sunny breakfast area with an Easterly aspect to enjoy sunlight and clear blue skies in the morning and a private kitchen BBQ area just outside waiting to grill some delicious meals! The main living area is an open plan design to create an expansive yet intimate formal living room, bar area and large screen media room with reclining seating and surround sound. The ground floor guest wing incorporates three bedrooms, two with en-suite baths and a guest powder room. Currently configured with two double bedrooms with en-suite bathrooms and an in-house gym / fitness room. This home is very adaptable and can be configured for all types of families ranging from young children to adults more mature in years. 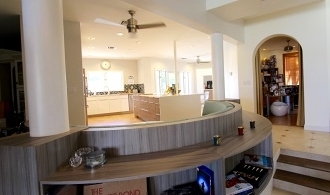 From the high ceiling entrance lobby a hexagonal shaped executive retreat is your home office or den for children with easy access to the kitchen and main living areas. A separate maid quarters or mother-in-law apartment with bedroom and en-suite bathroom, laundry room and access to air conditioned double car garage. The upper floor is exclusively for the 1,000 sq. 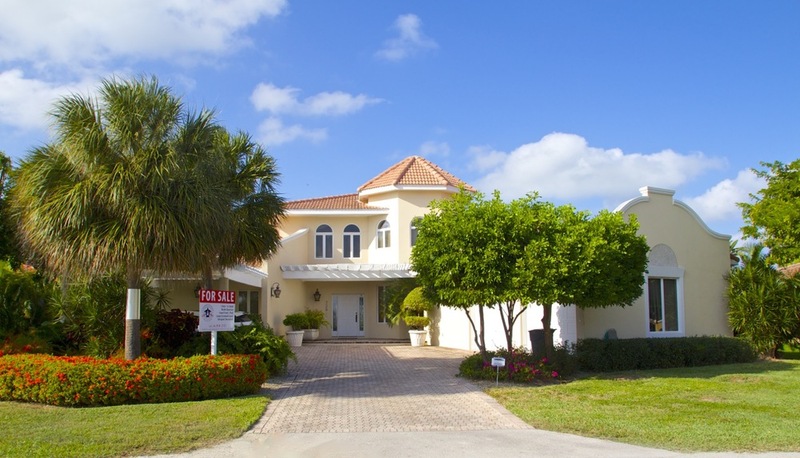 ft. Master Suite with commanding views from the balcony across the pool, gardens and waterfront. His & Hers custom closets with ample storage space. A dedicated make-up dressing area and unique hexagonal vaulted ceiling master bathroom with walk-in shower, separate his & hers vanities and large deep Jacuzzi tub! All situated on just under .5 acre with mature landscaping, large boat slip / dock and marina basin frontage. A poolside cabana with sit-up counter bar and private poolside bathroom - plus solar heated swimming pool. This home is perfect for families who love to entertain, enjoy the outdoors and appreciate that a home of this caliber and in this location does not often become available.